I got a surprise note from a potential customer who is after a toddler sized spiral hat for her 19 month old daughter. 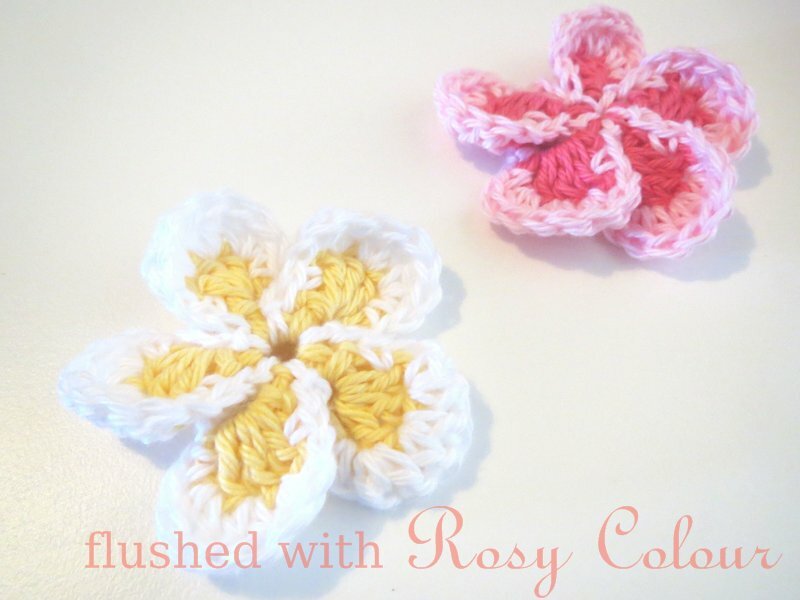 I've only made a newborn sized one before so I set about working out the pattern for the toddler size. It wasn't too hard, mainly because I've been spending a lot of time working through writing the patterns for the set of Princess hats. I've learnt so much from doing that, I can tell you! AND they're still not finished. I'm starting to wonder if I'll ever get them done. I do have to work hard at convincing myself its within my capabilities to write down my designs so they can be shared. It certainly hasn't turned out to be as easy as I imagined. 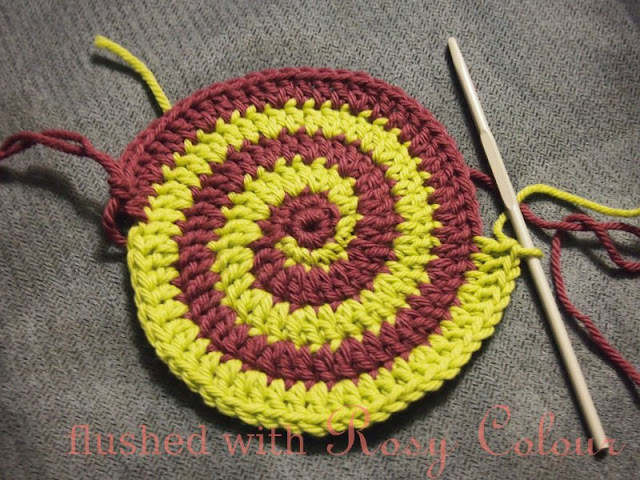 The toddler sized hat in the Princess set has 5 increasing rounds that measure 5 inches across, so I began 3 different spirals in various colours working flat for the equivalent of 5 rounds. When the 5 rounds measure 5 inches across and the crown sits flat, then the increasing stops and I can make the sides of the hat. The spiral hat in my shop is made from Australian organic wool, which turns out to be very hard to find. The business that sold it to me last year has finished up and the new owner won't have more until next year. So I was in a bit a quandary as to which yarn I should use. 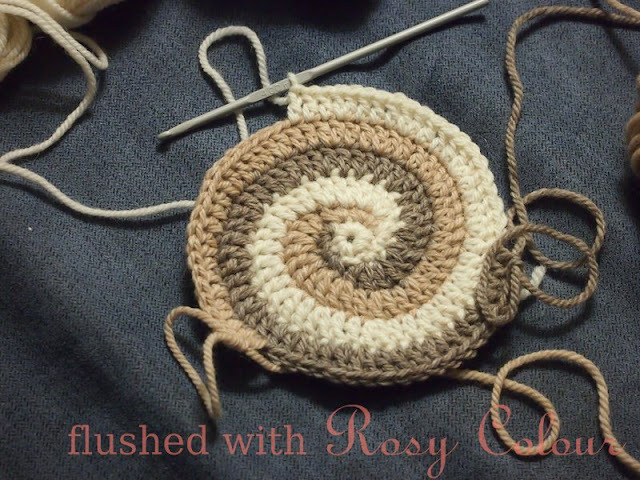 Hence why I started with 3 different spirals to show the customer what I had on hand, otherwise I would have to buy some more wool, from Bendigo Woollen Mill would have been my preference. The natural tones of the Cleckheaton Perfect Day is gorgeous, but that stuff is expensive and not as soft as the other wool. I finished that hat first and started deciding how I would have the brim, settling on a turned up brim. 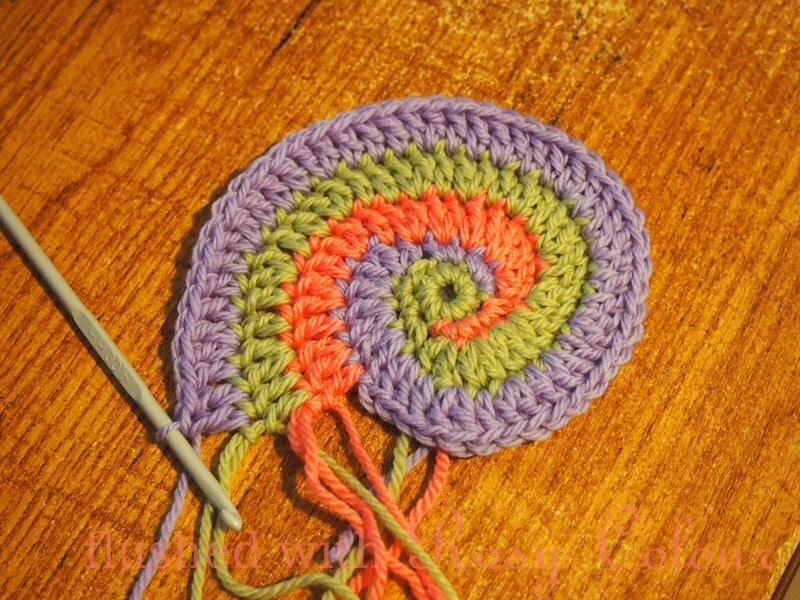 The woolganic yarn is really soft, but I only have a little bit left so started a hat with what I have left in plum and green. The customer liked the colours I chose from my luxury wool stash, I chose leaf, lavender and lotus. Now the next problem will be how to finish the spiral. 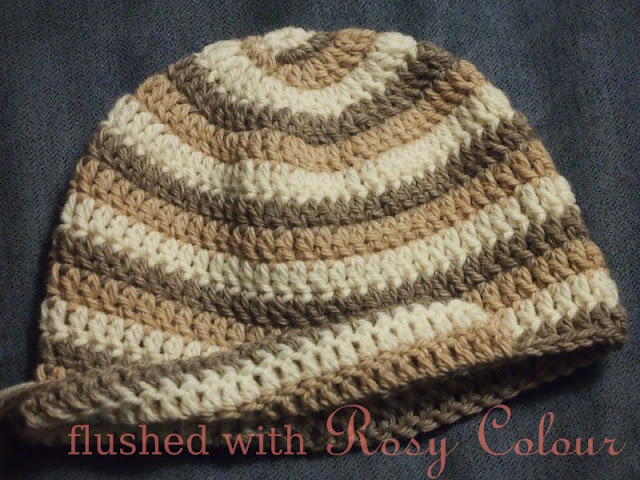 Because its a spiral and not straight like a normal striped hat, the brim finishes unevenly. I'm thinking a round of scallops might be possible, seeing as this hat turns out to be for a girl. I think it will turn out quite nicely!